Tourism businesses and event organisers may spend a significant amount of money and time on promotional activities, but did you know there are many high exposure opportunities on the internet where they can be promoted for free? There is always plenty going on in Victoria. 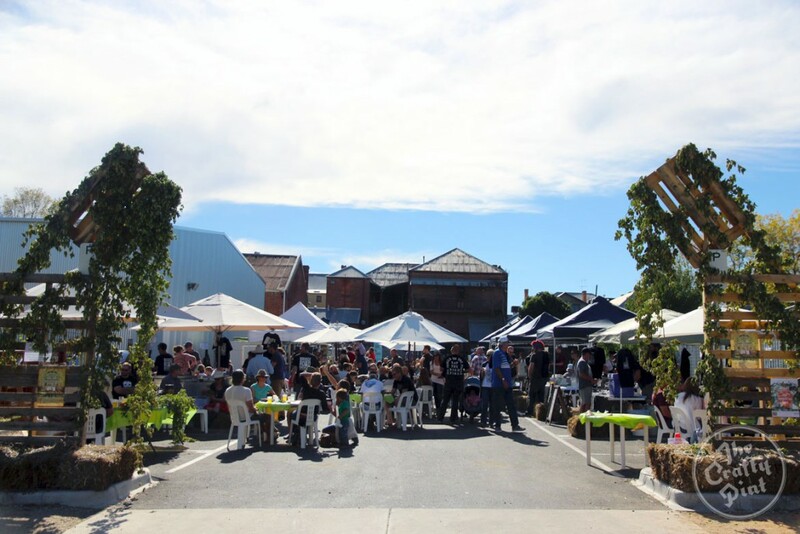 From community festivals to markets, concert, sports tournaments, shows and international events, there is always something happening, no matter what day of the week or time of the year it is. Promoting events can be a costly and time consuming exercise, but when it comes to exposure on the internet, Victoria 365 should be your first priority. 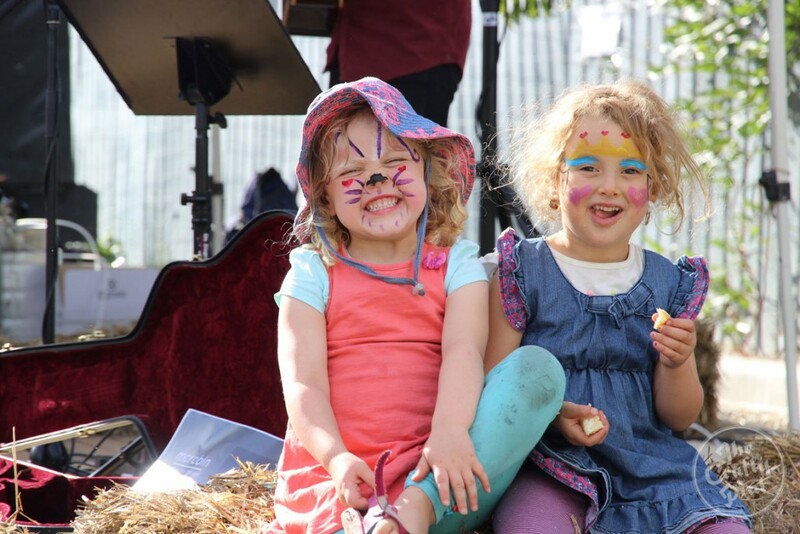 This website presents a huge collection of events that are happening 365 days a year in Victoria. All listings are free of charge and there are self-serve facilities so you can instantly register and update your listing as often as you like. Simply go to the list your event page to get started. One of the exciting features of Victoria 365 is that your listing is stored in the Australian Tourism Data Warehouse (ATDW). This national database is used as a source of content by over 100 distributor websites, which means that not only is your event featured on Victoria 365, but it will also appear on other websites which publish event information without you having to do a thing. It offers a fantastic opportunity for wide exposure on the internet for minimal effort and zero cost. Australians love their pets, and dogs are the most common of them all. It is estimated that there are close to 5 million pet dogs in Australia, with around 40% of households owning a dog. As Australia becomes more dog-friendly, people are increasingly taking their pooches with them when they leave home, providing company and sharing a common experience. Whether it is a coffee or meal at a cafe, a trip to the beach, or even a holiday away from home in dog-friendly accommodation, dogs are being welcomed in more and more places. If you operate a dining establishment in Victoria that has areas where dogs are permitted, you can list your business for free with Dogs On Holidays. That website is a comprehensive guide to enjoying Victoria with you dog and includes listings of dog-friendly accommodation, restaurants, beaches, parks, activities and events. While the accommodation listings require a small cost to list, all restaurant and cafe listings are completely free of charge. It’s a great way to gain good exposure for your dog-friendly business. 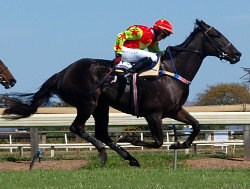 Simply fill in your details on the advertising page and your listing will be published promptly. Visitors to Victoria are spoilt for choice when it comes to finding interesting things to see, enjoying fascinating experiences and indulging in the amazing food and wine that Victoria is renowned for. 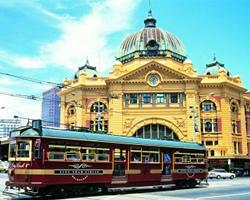 Many businesses which cater for tourists, day-trippers or visitors are able to be listed for free with Travel Victoria. 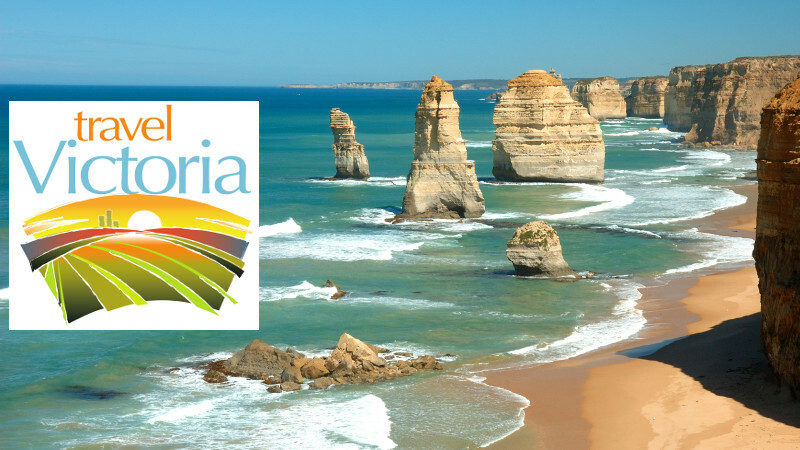 The Travel Victoria website is a valuable resource and features many thousands of listings including tourist attractions, scenic tours, cruises, wineries, breweries, markets, restaurants, cafes, pubs, farm gates, public sporting facilities and accommodation. All listings (except for accommodation) are free, and submissions for inclusion can be made on the advertising page. With Christmas just around the corner, here is our version of the timeless carol “The Twelve Days of Christmas“. 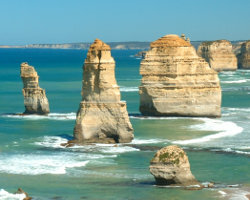 The 12 Apostles are Victoria’s most famous coastal attraction consisting of towering limestone stacks near Port Campbell on the Great Ocean Road. However, they are the 12 Apostles in name only. Just 8 remain standing today due to relentless wind and ocean erosion over the years. There are 11 days of celebration in Victoria that are declared non-working days. Unique to Victoria is a public holiday to mark the running of Australia’s richest horse race, the Melbourne Cup, which is held on the first Tuesday of November. Due to the good weather that time of year, some people also take the Monday off work (sometimes illegitimately!) and turn the Melbourne Cup holiday into a mega 4 day long weekend. Victoria has 10 designated snowfields, all located in the east and north-east. 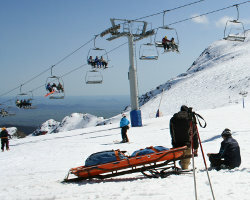 They include large commercial resorts such as Falls Creek, Mount Buller, Mount Hotham and Mount Baw Baw. For sightseeing snow and tobogganing that is very close to Melbourne, head to Mount Donna Buang, just over 90 kilometres east of Melbourne via Warburton. 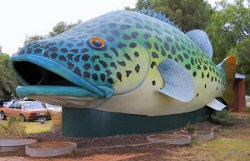 Australia is home to many novelty structures that are vastly over-sized monuments to something of local significance. 9 of Victoria’s most iconic big things include a cigar, earthworm, koala, fish, a statute of Ned Kelly, pheasant, potatoes with forks, wine bottle and wool bales. A number of Victoria’s islands are uninhabited or inaccessible, however there are 8 islands which the general public are permitted access to and can reach fairly easily. The most visited is Phillip Island – within easy reach of Melbourne and internationally recognised for its penguin parade and grand prix. Also in Western Port is the heritage farm of Churchill Island and French Island with its significant koala population. Raymond Island, accessible by car ferry from Paynesville, is renowned for its native wildlife, while Griffiths Island at Port Fairy is linked by a pedestrian causeway to the mainland and is home to a large colony of mutton birds. Snake Island is Victoria’s largest sand island, located off the coast of Port Welshpool, noted for great fishing on its beaches. Gabo Island, located off the coast of Mallacoota, is home to large colonies of sea birds and features a pink granite lighthouse. And the final island is Swan Island, located off the coast of Queenscliff. Visitors are welcome to play at the local golf course which boasts being an all weather course given it resides on an island made up of drifting sand. 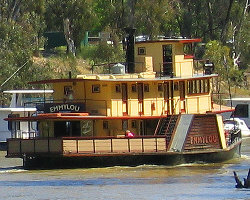 Echuca, once Australia’s busiest inland port, is home to 7 paddlesteamers that operate from the historic Port of Echuca precinct on the Murray River. Enjoy a short day cruise, a dining experience, special occasion or overnight cruise on one of the paddlesteamers Adelaide, Alexander Arbuthnot, Canberra, Emmylou, Hero, Pevensey or Pride Of The Murray. The paddlsteamer Adelaide is the oldest wooden-hull paddlesteamer that is still operating anywhere in the world. 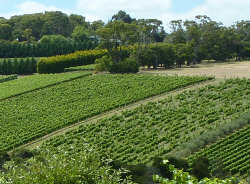 Victorians love their wine, and the state is divided up into 6 flourishing cool and warm climate wine zones. There are hundreds of wineries ranging from boutique family-owned establishments to large scale operations that export world-wide. 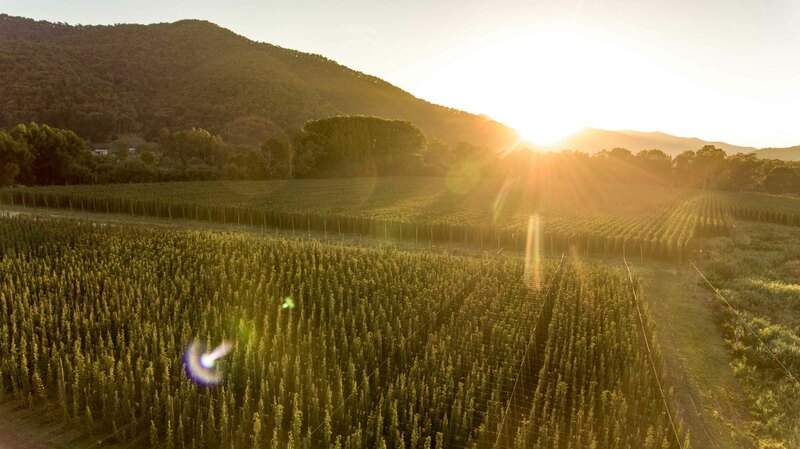 Many wineries provide a complete destination experience with their own cellar doors, sales of local produce, restaurants and beautiful gardens. Zoos Victoria manages 3 zoos in Melbourne and its surroundings – Melbourne Zoo, Werribee Open Range Zoo and Healesville Sanctuary. 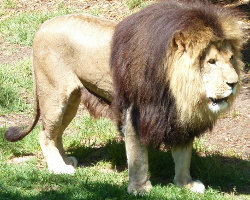 There are two other zoos in Victoria which are well worth visiting. The Halls Gap Zoo, located in the scenic Grampians between Halls Gap and Pomonal, is home to over 160 species of animals, with a strong emphasis on native fauna. The Mansfield Zoo, located within picturesque parkland to the south of Mansfield, with particular emphasis on allowing visitors to feed many of the animals. Victoria’s Macedon Ranges are home to Australia’s largest concentration of natural mineral springs, and one of the best places to see this is at Hepburn Springs. Head to the Mineral Springs Reserve where you will find the iconic Hepburn Bathhouse health complex, parkland and bush tracks. 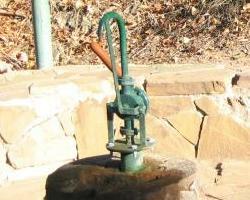 There are 4 mineral springs within the park that you can sample and fill up at – Locarno, Soda, Sulphur and Wyuna. Victoria’s gold rush period of the 1850s has left the state with a lasting legacy of history, wealth and prosperity. Get a taste for what life was like for miners in those days, as they toiled for riches without the equipment and technology of today, by visiting 3 of Victoria’s gold mines that are open for public underground tours. 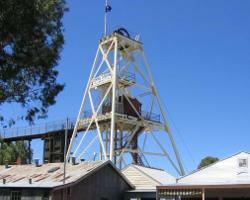 Descend 61 metres below the surface and walk in the foot steps of past miners at Central Deborah Gold Mine in Bendigo. Visit Sovereign Hill at Ballarat and take a fully guided tour in a mine tram for a unique themed underground experience. Or head to the quaint village of Walhalla, where time has stood still, and take a guided tour of the original workings of the Long Tunnel Extended Gold Mine. There are 2 Australian folklore legends which Victoria is synonymous with. The Man from Snowy River, portrayed in Banjo Paterson’s poem, was written in 1890 and is believed to have been inspired by Corryong stockman Jack Riley. 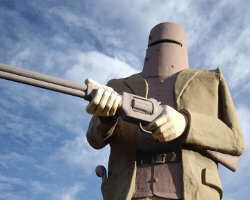 Ned Kelly, the infamous, daring and charismatic bushranger, who spent years defying the law, was eventually captured in the small town of Glenrowan where a large monument dedicated to him stands there today. Melbourne was named by the Economist Intelligence Unit as the world’s most liveable city in 2014, scoring very well in areas of health, education, safety, stability and infrastructure. Visit Melbourne today and experience its multicultural heritage, great shopping, abundance of parks and iconic sporting events.